Robust, attractive and extremely versatile, our cabins are very strong, safe and vandal proof. We use the latest multi-locking door and window shutter systems on the market to ensure that safety is second to none. They provide a practical, convenient and cost effective solution to your on-site accommodation problems. Whatever your project requirements, we have a portable building that will meet your needs. 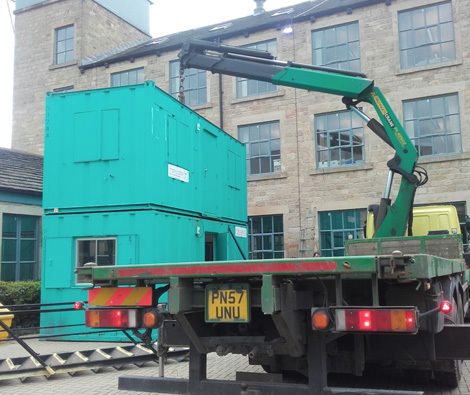 Whether you need an office, a classroom, a doctor's surgery, a toilet block or any other temporary accommodation requirements, Transcabin’s buildings can be individually designed to meet your specifications. All accommodation is available in a range of sizes and layouts to suit your needs, and all cabins can be hired or purchased. For more information, on our range of services, take a look at our accommodation formats or contact us now for more information.